Two subspecies of giraffe have been listed as 'critically endangered' by the International Union for Conservation of Nature (IUCN). Numbers for the mammal have declined by 40 per cent over the last 31 years due to humans encroaching their habitat. 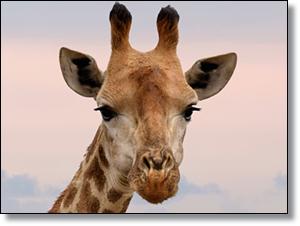 In an IUCN report the giraffe has been moved from the list of 'Least Concern' to 'Vulnerable' in their Red List of Threatened Species. Two specific subspecies, the Kordofan and Nubian, have been added to the list of 'critically endangered'. According to the Giraffe Conservation Foundation, the Kordofan giraffe is mainly found in southern Chad, Central African Republic, Democratic Republic of Congo and western South Sudan with just 2,000 of the species existing. Nubian giraffes, mainly found in west central Kenya, South Sudan, western Ethiopia and northern Uganda, and there are 2,645 left.